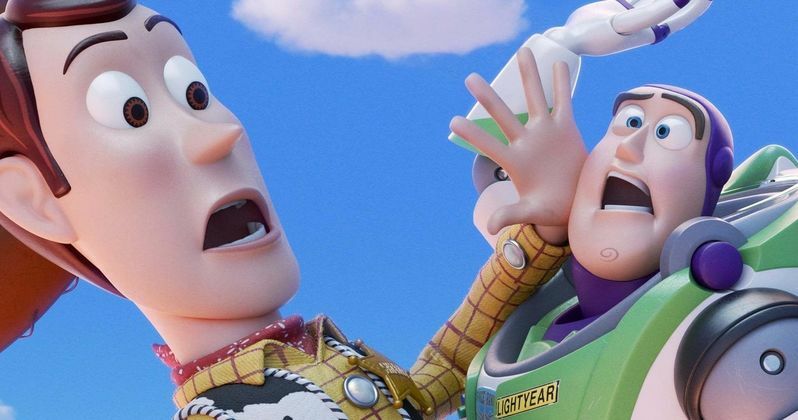 The latest Toy Story 4 image features Woody, Buzz, Forky, and Bo Peep running from the carnival that we've seen in previous pieces of promotional material. The latest image comes after we were treated to a picture of the mysterious return of Bo Peep earlier this week. The most recent image shows the character in a design that has fans more than a little puzzled. Bo Peep was missing from the third installment, and now she's back with a completely new look. In addition to the image, a synopsis was revealed, adding some more information to what we already knew. "Since Andy went to college, toys have moved to a new house where a small girl named Bonnie lives. Her first day in kindergarten will put a beginning to adventures and meeting new toys, some of the old friends and even a romantic story." The new Toy Story 4 calendar synopsis goes with the previous information that we were given about the story, but hints at the possible romance between Woody and Bo Peep. When the sequel was originally announced, it revolved around Woody and gang going on a search for Bo Peep, but the story has shifted since then. However, it appears that Bo Peep has been found and she's ready for adventure in the highly anticipated sequel.